I have loved the television version of The Scarlet Pimpernel since high school. It came out 27 years ago. And I am officially old. 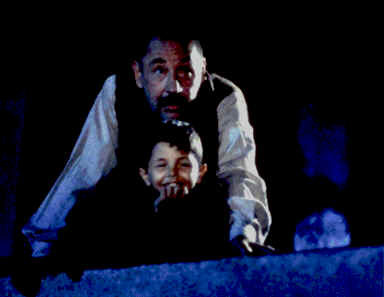 I recently revisited Cinema Paradiso, a classic Italian film about a boy who befriends the grumpy projectionist at the local movie house. We watch Salvatore grow up in that theatre, learning about life and love in 1950’s Sicily along the way. This is a story with lots of character and well deserving of the Best Foreign Film Oscar it won in 1990. I rented the director’s cut – Nuova Cinema Paradiso. This version is quite a bit longer but makes more sense of the ending, providing a little more resolution (emphasis on little) than the original theatrical release. But how can you go wrong with Italy and movies as the backdrop? IF you are a movie lover, THEN GO rent it subito – at once.